When you live in the Hilton Head area, you might notice bees that hover outside your eaves or other exterior parts of your home. These bees are usually carpenter bees that make their nests inside wooden structures, including residential walls and roofs. There are actually two different species of carpenter bees that make their home in SC. Find out more about them in order to determine if you need Hilton Head carpenter bee treatment at your home. These are the larger of the two carpenter bee species that reside in SC. Eastern carpenter bees grow to be up to 23 mm in length as adults, making them one of the larger bee species around. They have a black abdomen that doesn’t have hairs on it as bumblebees do. The rest of their body has a yellow and black coloring, and they have a yellow and white face. Eastern carpenter bees don’t have a diet that includes wood. These bees feed on nectar from flowers as most other bee species do. However, the damage that they cause to wooden structures is from the holes they chew in order to make their nests. Carpenter bees look for dry areas of wood for their nests, then lay their eggs in them once they’re fully built. These are the smaller carpenter bee species, and they don’t actually pose a threat to homeowners. These bees have a shiny appearance and an iridescent black coloring, making them one of the most visually striking bees in the state. The smaller carpenter bees don’t make their nests inside walls or other parts of residential buildings, so there’s no need for Hilton Head carpenter bee treatment. Instead, these bees build their nests in twigs. Eastern carpenter bees can be startling when you encounter them due to their tendency to suddenly fly toward “intruders.” If you get too close to their territory, male carpenter bees will confront you, although they’re unable to sting you or hurt you in any way. Females have stingers, but they usually don’t use them. When you have carpenter bees around, you’re unlikely to be stung at all, but these bugs can leave holes in your home’s exterior from their nesting habits. You might end up with several round holes in your home’s exterior, which can have a harmful effect on its appearance. Their feces can also stain your home. Keep in mind that they continue building more and more tunnels and nests if they’re left undisturbed. How can you safely deal with carpenter bees if they’re making holes in your home? This can be tricky to do, which is why it’s better to have Hilton Head carpenter bee treatment done by professionals. You can plug up the holes that carpenter bees have created in your home, but you can only do so when they’re all gone. If you close up these holes while some are still in their nests and tunnels, they’ll burrow their way out and cause holes to reappear or make new holes. Professional pest control experts can thoroughly get rid of a carpenter bee infestation and reduce your chance of having these bugs come back. At Island Pest Control, our technicians know how to find carpenter bee nests and get rid of these insects as safely as possible. Once they’re all gone, you’ll be able to make cosmetic repairs to your home in order to cover up holes and clear away stains. 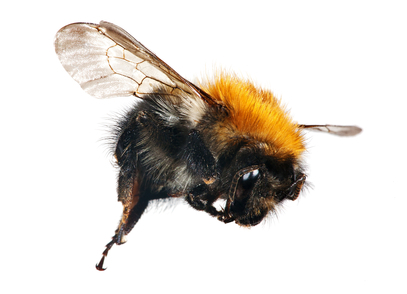 If you’re having a problem with carpenter bees on your property, contact Island Pest Control for help. We provide Hilton Head carpenter bee treatment that can save your home from the unsightly holes that these bees cause. Our technicians receive extensive training and have the right experience to handle these bees safely.